The above graph shows the natural process of converting UVB rays into Vitamin D. Our Vitamin D Lamp emits a higher percentage of the desired UVB rays than sunshine, so a five minute session with The Vitamin D Lamp would be *approximately the same as a 15 minutes of sunshine exposure. *Many variables including time of day, latitude, time of year, etc.. = approximately. The Vitamin D Lamp has a five minute timer dial. You may initially begin with a two or three minute session to ensure you don’t overexpose and get a sunburn. A five minute session is sufficient, and most use their Vitamin D Lamp an average of three times per week. Can you use it every day? 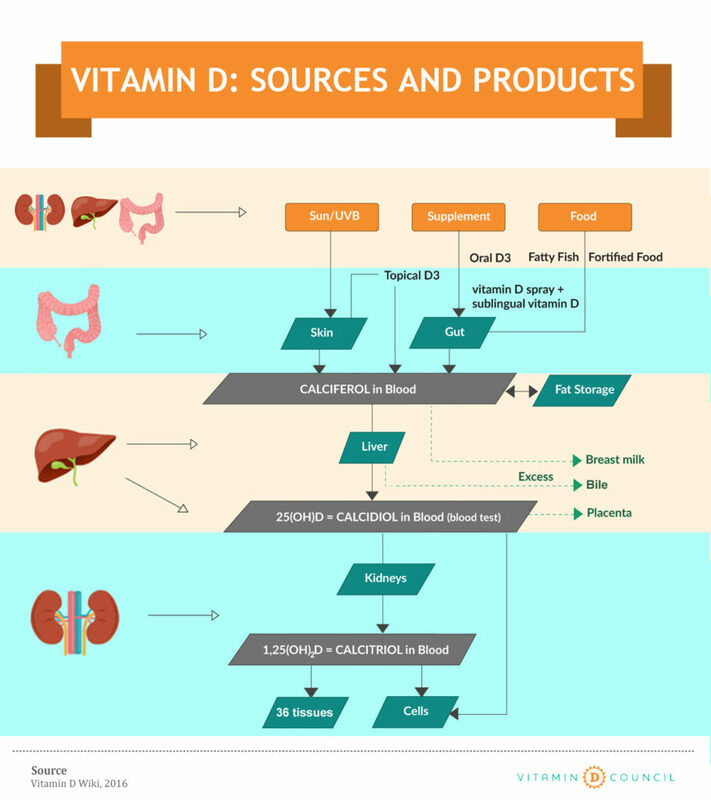 Yes, you cannot overdose on natural Vitamin D. On average, two or three 5 minute sessions per week will be sufficient. Some individuals cannot tolerate or properly digest and absorb supplements and supplemented foods. Our Vitamin D Lamp provides you with a natural way to get your Vitamin D from short five minute sessions. 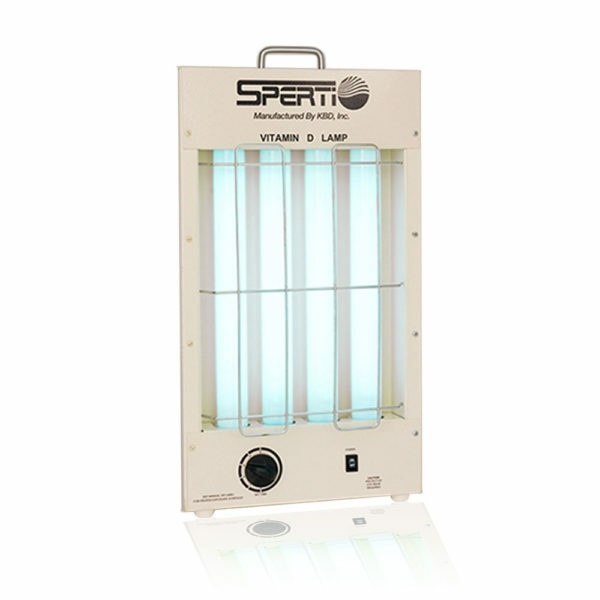 The UVB from our Vitamin D Lamp will quickly and naturally increase your vitamin d levels. 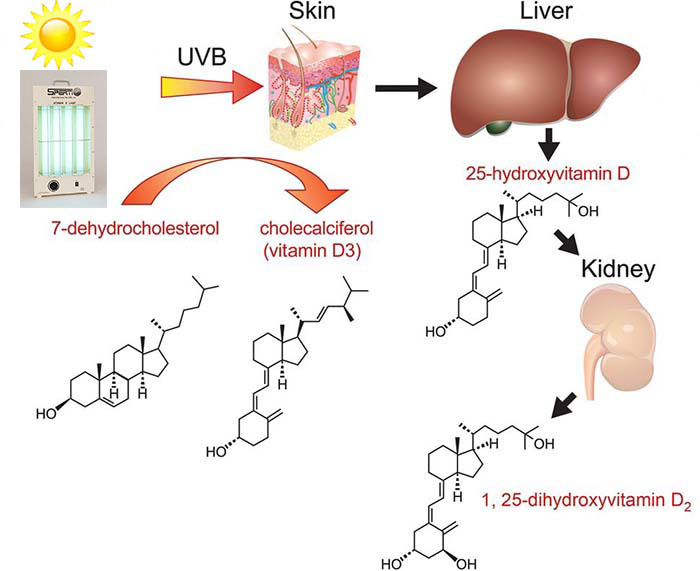 ultraviolet product for Vitamin D production in the human body. Are there advantages to getting Vitamin D naturally from sunshine or a UVB sunlamp (The Vitamin D Lamp)? Sun exposure can also help regulate circadian rhythm, lower blood pressure, ease depression, boost the immune system, and even reduce the risk of certain cancers, notes Dr. Holick, who recommends about five to ten minutes of unprotected exposure a day. Source: NewsmaxHealth, by Gary Greenberg. UVA is between 400 – 320nm wavelength and UVB is between 320 – 290nm wavelength. The solar radiation reaching the earth is 90 to 95% UVA and 5 to 10% is UVB. UVB rays generate vitamin d naturally in the body. UVA rays penetrate deeper layers of your skin and cause tanning. How do I use the Vitamin D Lamp? Place it on a flat and stable surface (the kitchen table – we’ll use this example, so you’ll be sitting in a chair). Plug it into any regular power outlet. Sit down in front of the lamp, you may remove your shirt for more skin exposure. Now that you are sitting in front of The Vitamin D Lamp position your body approximately 18” inches (46 cm) away. Rotate the timer dial to any time duration between 1 and 5 minutes. Put on your UV protective eyewear, and then flip the switch to ON. The unit will instantly light up and begin emitting appropriate amounts of UVB to synthesize Vitamin D through your skin, naturally! The Vitamin D Lamp will turn off automatically. The unit emits bright warm light, but it does not get hot to the touch. To prevent potential sunburn on your initial use (this would depend on your skin type and current sunshine/UV tolerance – like pale winter skin v. summer tan skin) you may wish to do a 2 or 3 minute session your first few times (see manual). Also, sitting closer to the bulbs/unit increases the intensity and increases the chance of sunburn. On average, most people are doing 5 minute sessions, 2 to 3 times per week. You can use it less, even one session a week or a quick 1 minute session is going to generate some healthy and natural Vitamin D. Just like exercising . . . a little is better than nothing.